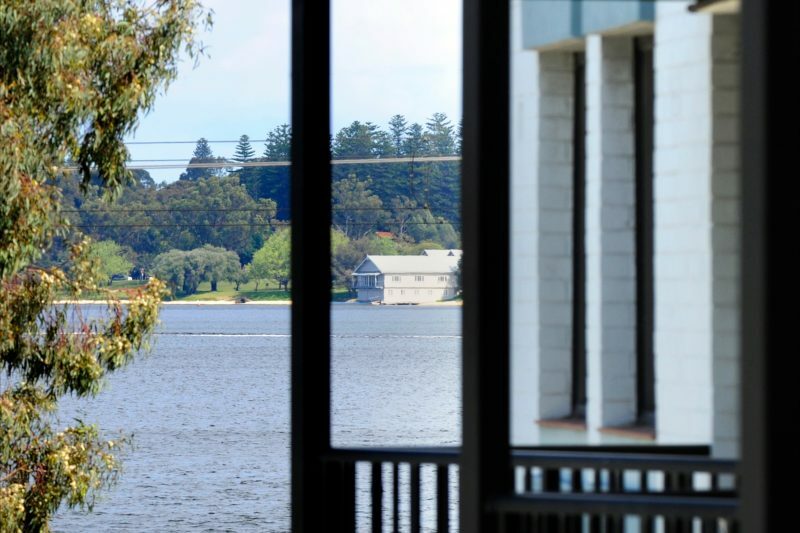 With Perth’s best attractions at its doorstep, Assured Waterside Apartments looks out across the beautiful Swan River. Their affordable property comprises of 32 spacious and fully self-contained one bedroom and two bedroom apartments. Other complimentary features include wi-fi, movies and on-site secure parking. Each of their air-conditioned apartments comes with a fully equipped kitchen, including dishwasher, microwave and fridge, in addition a flat screen television, a separate dining area, living area, washing machine and dryer and a balcony or courtyard. In-room breakfast is available, as well as same day dry-cleaning service and bike hire. 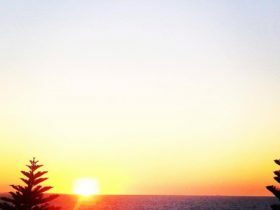 They are located a short stroll from the heart of South Perth, which offers restaurants, cafés, bars and boutiques. 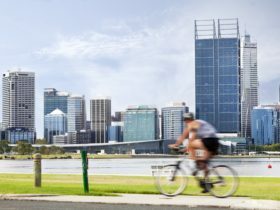 It’s also a quick ferry ride away from the Perth City centre and Elizabeth Quay. 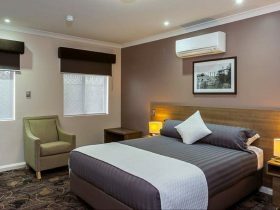 Assured Waterside Apartments is 11 kilometres from the Perth Domestic Airport, 14 kilometres from the Perth International Airport, 900 metres from the Perth Zoo, six kilometres from the casino and five kilometres from Kings Park. 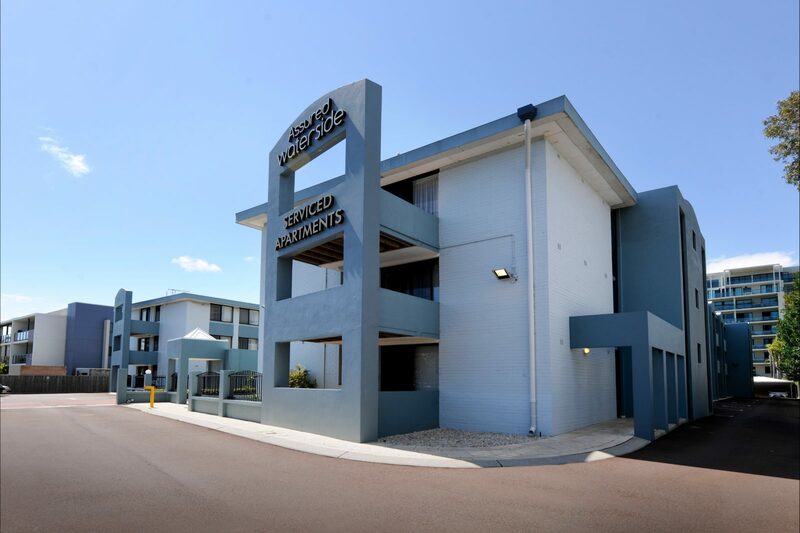 Assured Waterside Apartments is ideal, affordable accommodation for leisure guests, sporting or school groups and business travellers. Rollaway beds can be arranged in some room types at an additional charge and cots and high chairs are complimentary. The one bedroom apartment provides comfortable and spacious, fully self-contained accommodation ideal for couples or business travellers. 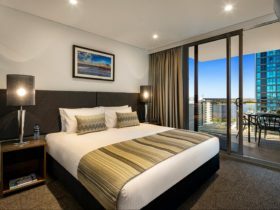 Each apartment comes inclusive of a full kitchen with dishwasher, dining area, lounge room with pull out sofa bed, master queen-size bedroom with en suite bathroom and a balcony offering sweeping river views. Other facilities include reverse cycle air-conditioning, washing machine, dryer, iron/ironing board, compact disc player and television with video recorder. 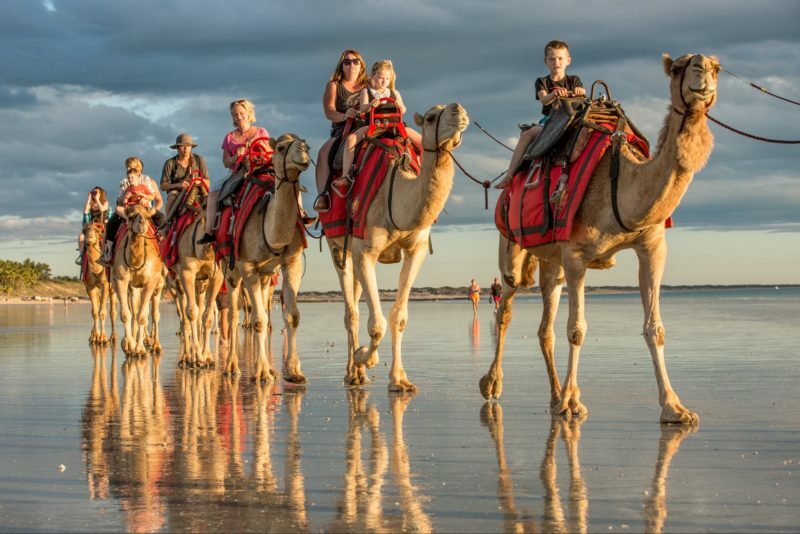 The Two Bedroom Apartment provides ideal accommodation for families on holidays, business travellers sharing or long-stays. A true home away from home, these spacious apartments provide ample space for entertaining. 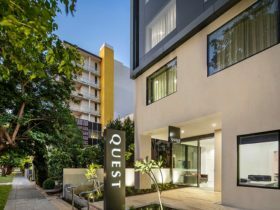 Sleeping up to five, each apartment comes inclusive of a fully equipped kitchen with dishwasher, dining area, lounge room, bathroom and laundry facilities. Balconies are also provided, offering scenic river and parkland views. Other facilities include reverse cycle air-conditioning, washing machine, dryer, iron/ironing board, compact disc player and television with video recorder.